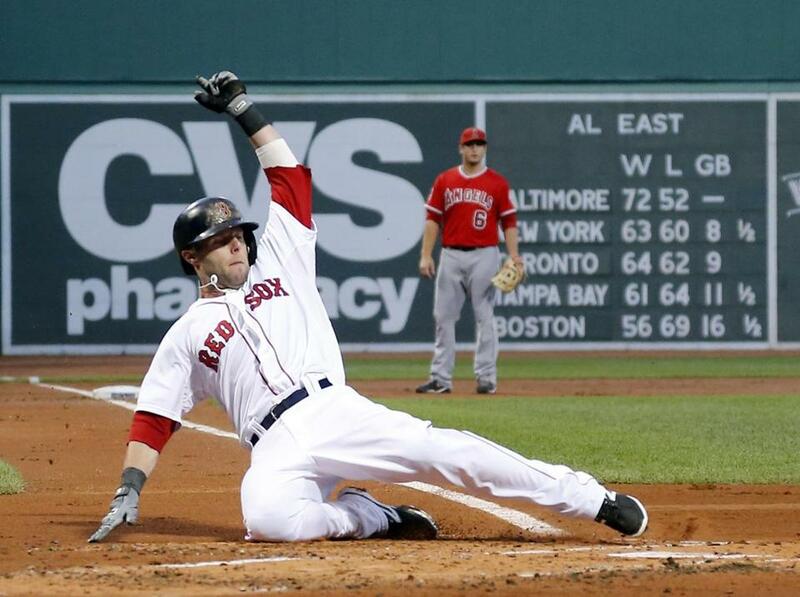 The Red Sox would like to see Dustin Pedroia slide this way instead of headfirst. After Wednesday’s 10-6 loss to the Orioles at Fenway Park, Red Sox manager John Farrell confirmed what had been speculated since it was announced Tuesday that second baseman Dustin Pedroia had been dealing with a left hand injury for most of the season. Pedroia will undergo season-ending surgery Thursday. Dr. Matthew Leibman, a hand specialist affiliated with Newton-Wellesley Hospital, will perform the procedure. Pedroia said Tuesday that he did not expect a procedure to be major and he expects to be able to do his normal offseason work. Pedroia underwent surgery in November 2013 to repair a torn ulnar collateral ligament in his left thumb, which he suffered during a headfirst slide into first base on Opening Day at Yankee Stadium last season. He reinjured his left hand during the home opener this year, on April 4 against the Brewers, before aggravating it again later in the season. He underwent an MRI Tuesday that revealed inflammation. Farrell said sliding headfirst has been addressed with Pedroia. Beyond that, the Sox would not want Pedroia to change his style of play. “Well, we’ve asked him not to slide headfirst anymore, which he’s doing, which you go back to Opening Day in 2013,” said Farrell. “That’s where a lot of this has originated. “He’s aggravated the left hand again by being taken out at second base on double plays earlier in the year and then midyear. We’re really not going to ask him to change his [style] — with the exception of deciding to slide headfirst. There can be a danger in asking any player to change his style, forcing him to do things that might not be instinctive. “If there’s thought in there on playing more under control, does that thought put a guy in a position physically for potential injury?” Farrell said. “That’s debatable. This season, Pedroia has posted career lows in batting average (.278), on-base percentage (.337), slugging percentage (.376), home runs (7), doubles (33), total bases (207), and stolen bases (6), while grounding into 14 double plays, one behind David Ortiz for most on the team. The Sox have had talks on managing Pedroia’s playing time. “He and I have had conversations, [general manager] Ben [Cherington] and I have talked about it,” Farrell said. “Because of our lineup and David being the everyday DH, this brings other people into the discussion. “But do we set a certain number of consecutive games played and then regardless you’re getting him off his feet? That’s one approach that we have discussed. In Pedroia’s absence, the Sox would prefer to play Brock Holt at second base rather than Mookie Betts, who came up through the organization as a second baseman but has spent this season adjusting to the outfield at the major league level. But having Betts play second has not been ruled out. Holt has been out of the lineup since leaving Friday’s game with an illness, and Jemile Weeks played second base the last two games. Farrell said he expects to have Holt back in the lineup during the four-game series in Kansas City that begins Thursday. Maureen Mullen can be reached at mullen_maureen@yahoo.com.